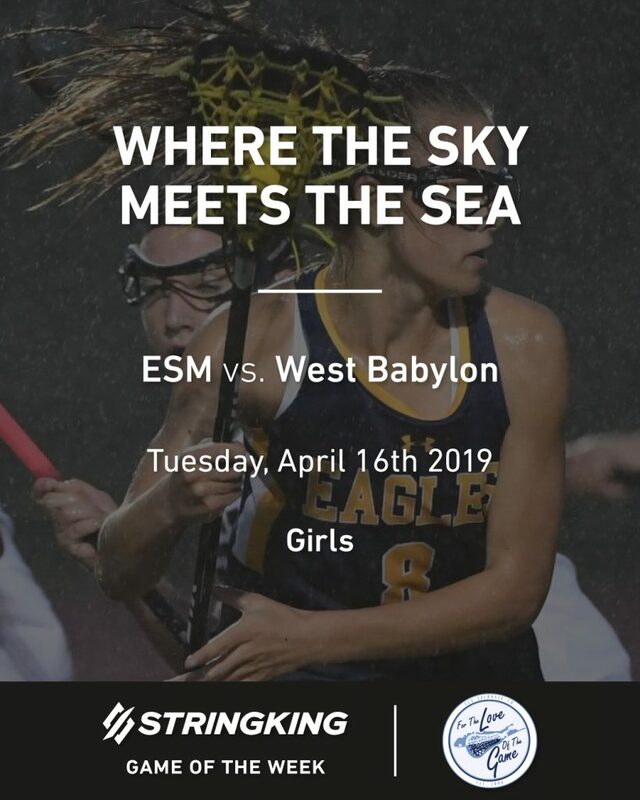 On Tuesday April 16th, the Sharks of ESM will travel to uncharted waters in search of a win against the West Babylon Eagles. An LILJ String King Game of the Week, #4 West Babylon will look to defend their home turf against #3 ESM. Are the jaws of the Sharks powerful enough to secure the win? Or will the Eagles soar to victory? LILJ has got you covered. A season ago, these two team met for the Suffolk County Class B Championship, and the Sharks came out on top. 6-1 on the year, West Babylons wing span is larger than ever and are looking to pull the upset in next weeks games. Leading the flock is senior Stony Brook commit, Kayla Downey, who leads the team with 43 points and a ton GBs for the year. Also making major contributions are the Heller sisters Hannah and Ellie. Hannah, committed to UMass and Ellie, committed to Florida, are the backbone of this team, bring the energy all game long. ESM has had much season successes, winning 6 consecutive games and losing none. An undefeated season thus far, Kasey Choma has been leading the charge for the Sharks. The Notre Dame bound senior is leading her squad in points with 42 points on the year. She is accompanied by Senior midfielder Ellie Marsera, with 34 points on the season. These two together pack a powerful bite and will look to secure the regular season victory on the road against a strong West Bab opponent. Tune to our instagram @FLGLAX for full game coverage!